Previous Business Experience: Kenny has spent his career in Data Science and Artificial Intelligence, especially focused on the retail, marketing, and media industries. He has a deep and holistic understanding of media and advertisers and how best to serve them, and he has been a long time Nielsen customer and partner. Kenny has a proven track record of implementing growth strategies, overseeing strategic transactions and creating value for stakeholders. 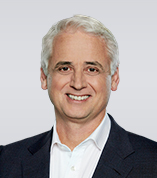 Most recently, Kenny served as Senior Vice President of Cognitive Solutions at IBM. There, he oversaw IBM’s artificial intelligence initiatives, using machine learning to support enterprise customers across a large number of verticals, including healthcare, financial services, retail, and media. Prior to that, he was Chairman and Chief Executive of The Weather Company, which was acquired by IBM. 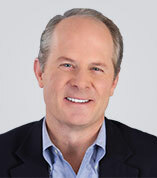 He served as President of Akamai, a cloud platform technology company; Managing Partner of VivaKi, a media company; and co-founder and Chief Executive Officer of Digitas, Inc. David received his bachelor’s degree in industrial administration from the GM Institute (now Kettering University) and holds a Masters of Business Administration from Harvard Business School. Directorships: Currently, David serves on the Board of Directors for Best Buy and Teach for America. Previous Business Experience: Dave spent 11 years as the Senior Vice President and CFO of Honeywell International. There, he was instrumental in increasing revenue, margin expansion and reshaping the company's portfolio. A highly distinguished finance executive, Dave previously served as the Senior Vice President and CFO of ITT. Earlier in his career, he held the same role at Newport News Shipbuilding, where he successfully led the effort to take the company public on the New York Stock Exchange. Dave most recently served as CFO of Alexion Pharmaceuticals. Throughout his career, Dave has consistently been recognized by Institutional Investor's survey of investors and sell-side analysts as one of America's top CFOs. He was also named top Big Cap CFO by Investor Relations magazine in 2012, 2013 and 2014. Dave received his bachelor’s degree from Indiana University. He also holds a Masters of Business Administration from the University of Chicago’s Booth School of Business, where he co-founded the CFO Forum—bringing Booth faculty and CFO alumni together to review topics that address the continued professional and personal development of CFOs. Public Company Directorship: Currently, Dave sits on the Board of Directors for American Electric Power (AEP) where he chairs the Finance Committee and serves on the Audit Committee. Previous Business Experience: Prior to joining Nielsen, Ms. Phillips was Executive Vice President of Human Resources at Broadcom Corporation from September 2014 until February 2016. Previously, from February 2010 to June 2014, Ms. Phillips held various human resources positions at Hewlett-Packard Company, most recently as Senior Vice President, Human Resources, Enterprise Services business group, a global organization with over 120,000 employees. Prior to joining Hewlett-Packard Company, from April 2008 to February 2010, Ms. Phillips was employed by Fifth Third Bancorp, a diversified financial services company with $133 billion in assets, as Executive Vice President and Chief Human Resources Officer. Earlier in her career, Nancy spent eleven years with the General Electric Company serving in a variety of HR leadership roles. Nancy is active in a range of professional associations and in 2006, received a YWCA TWIN (Tribute to Women) award in Silicon Valley for her commitment to diversity. She is also a member of The Florida Bar beginning her career as an attorney. Nancy earned a B.A. in English from the University of Delaware and a J.D. from Samford University in Birmingham, Ala.
Megan’s previous roles at Nielsen include Managing Director of Media Client Services in Asia Pacific, Middle East and Africa and Managing Director of Nielsen’s digital businesses across the Asia Pacific Region. 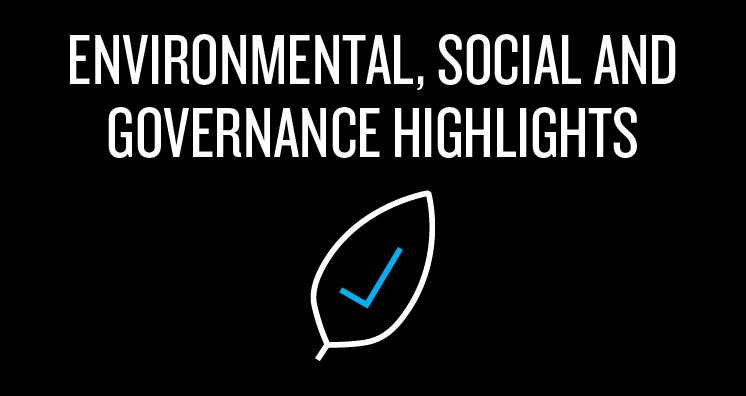 She also held senior roles managing the company’s digital analytics product portfolio. 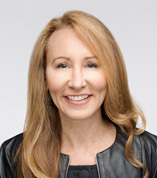 Prior to Nielsen, she held senior leadership positions for large publishers and online technology providers, including Akamai Technologies and ninemsn in Australia. Previously, Pat led Nielsen’s Global Markets Group, helping clients find tailored solutions to unlock growth in over 100 markets around the world. 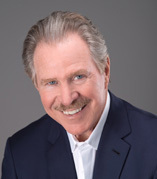 Earlier in his career, Pat led our businesses in 23 of the world’s fastest-growing markets. Pat has been with Nielsen for over 20 years. He has held numerous senior leadership positions with the company, including leading Nielsen’s Global Retailer Vertical and serving as President of Nielsen markets in Europe, China and Canada. He has also held a number of senior commercial roles consulting with major fast moving consumer goods and retailer clients around the world. Pat is widely recognized as a thought leader within the FMCG and omnichannel retail sectors and is a regular speaker at industry events. Other public company directorships: Current: Syniverse Holdings, Inc., Getty Images, Inc. and CoreSite Realty Corporation Past 5 years: None Mr. Attwood has served on Nielsen's Board since 2006 and has served as Chairman of the Board since January 1, 2016. He served as Lead Independent Director of the Board from January 1, 2015 through December 31, 2015. Beginning on July 26, 2018, Mr. Attwood assumed the title of Executive Chairman on an interim basis to lead the Board's search process to identify a new Chief Executive Officer as well as to oversee the Board's in-depth strategic review of its Buy segment. As Executive Chairman, Mr. Attwood remains an independent member of Nielsen's Board. He is not a Nielsen employee and has no day-to-day responsibilities for the Company's business. Mr. Attwood is a Managing Director of The Carlyle Group and the former Head of the Global Telecommunications, Media, and Technology Group. Prior to joining The Carlyle Group in 2000, Mr. Attwood was with Verizon Communications, Inc. and GTE Corporation. His last role at Verizon was EVP of Strategy, Development and Planning. Prior to GTE, he was with Goldman, Sachs & Co.
Other public company directorships: Current: Best Buy Teach for America Past 5 years: None Kenny has spent his career in Data Science and Artificial Intelligence, especially focused on the retail, marketing, and media industries. He has a deep and holistic understanding of media and advertisers and how best to serve them, and he has been a long time Nielsen customer and partner. Kenny has a proven track record of implementing growth strategies, overseeing strategic transactions and creating value for stakeholders. 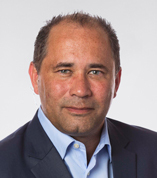 Most recently, Kenny served as Senior Vice President of Cognitive Solutions at IBM. There, he oversaw IBM’s artificial intelligence initiatives, using machine learning to support enterprise customers across a large number of verticals, including healthcare, financial services, retail, and media. Prior to that, he was Chairman and Chief Executive of The Weather Company, which was acquired by IBM. He served as President of Akamai, a cloud platform technology company; Managing Partner of VivaKi, a media company; and co-founder and Chief Executive Officer of Digitas, Inc. David received his bachelor’s degree in industrial administration from the GM Institute (now Kettering University) and holds a Masters of Business Administration from Harvard Business School. Other public company directorships: Current: Logitech International S.A. Past 5 years: None Mr. De Luca has served on Nielsen's Board since 2017 and has served as the Chairman of the Board of Logitech International S.A. since January 2008. Mr. De Luca joined Logitech International S.A. in 1998 and served as its President and Chief Executive Officer from February 1998 to December 2007 and as acting President and Chief Executive Officer from July 2011 to December 2012. 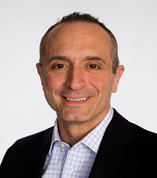 Prior to joining Logitech International S.A., Mr. De Luca served as Executive Vice President of Worldwide Marketing for Apple Computer, Inc.
Other public company directorships: Current: None Past 5 years: The Chubb Corporation Ms. Hoguet has served on Nielsen's Board since 2010 and has been the Chief Financial Officer of Macy’s, Inc. since February 2009; she previously served as Executive Vice President and Chief Financial Officer of Macy’s, Inc. from June 2005 to February 2009. Ms. Hoguet served as Senior Vice President and Chief Financial Officer of Macy’s, Inc. from October 1997 to June 2005. 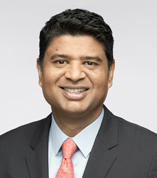 Other public company directorships: Current: Qualcomm Incorporated Gilead Sciences, Inc. Whirlpool Corporation Past 5 years: Pearson plc Hindustan Unilever Limited Mr. Manwani has served on Nielsen's Board since 2015 and has been Senior Operating Partner for Blackstone Private Equity Group since May 2018 and Global Executive Advisor for Blackstone Private Equity Group since February 2015. He retired from Unilever, a leading global consumer products company, at the end of 2014, where he served as Chief Operating Officer from September 2011 until his retirement. Mr. Manwani joined Hindustan Unilever Limited (a majority-owned subsidiary of Unilever, plc) in 1976, was a member of its board from 1995 to 2018, and since 1995 held positions of increasing responsibility at Unilever, plc which gave him wide ranging international marketing and general management experience. Mr. Manwani is also a member of the board of Tata Sons Limited. Mr. Manwani is a director of the Economic Development Board of Singapore and the Indian School of Business. Other public company directorships: Current: Medtronic Public Limited Past 5 years: None Mr. Pozen has served on Nielsen's Board since 2010. From July 1, 2010 through December 31, 2011, Mr. Pozen was Chairman Emeritus of MFS Investment Management. Prior to that, he was Chairman of MFS Investment Management since February 2004. He previously was Secretary of Economic Affairs for the Commonwealth of Massachusetts in 2003. Mr. Pozen was also the John Olin Visiting Professor, Harvard Law School from 2002 to 2004 and the Chairman of the SEC Advisory Committee on Improvements to Financial Reporting from 2007 to 2008. From 1987 through 2001, Mr. Pozen worked for Fidelity Investments in various jobs, serving as President of Fidelity Management and Research Co. from 1997 through 2001. He is currently a director of AMC, a subsidiary of the International Finance Corporation, a senior lecturer at MIT Sloan School of Management, a non-resident fellow of the Brookings Institution, a member of the Advisory Board of Perella Weinberg Partners and Chairman of the Leadership Council of the Tax Policy Committee. Other public company directorships: Current: MonotaRO Co., Ltd. Past 5 years: None Mr. Rawlinson has served on Nielsen's Board since 2017. He is the President of the Online Business of W.W. Grainger, where he also previously served as the Vice President for Operations for the Online Business. From July 2012 until August 2015, he was Grainger’s Vice President, Deputy General Counsel and Corporate Secretary. From November 2009 until July 2012, Mr. Rawlinson was Vice President, General Counsel and Director of Corporate Responsibility of a division of ITT Exelis, formerly ITT Corporation. Prior to ITT Exelis, Mr. Rawlinson served as a White House Fellow and in appointed positions for the George W. Bush and Obama Administrations. In the Bush Administration, he was a leader of the outgoing transition. In the Obama Administration, he served as Senior Advisor for Economic Policy at the White House National Economic Council. Other public company directorships: Current: Starbucks Corporation J.C. Penney Company, Inc. Past 5 years: None Mr. Teruel has served on Nielsen's Board since 2010. He is a Partner of Spectron Desarrollo, SC, an investment management and consulting firm; Chairman of Alta Growth Capital, a private equity firm; and a majority owner of Mexican investment firm, Desarrolo Empressarial Seborn, SA de CV. Previously, Mr. Teruel served as Vice Chairman of Colgate-Palmolive Company, from July 2004 to April 2007. Prior to being appointed Vice Chairman, he served in positions of increasing importance at Colgate since 1971, including as Executive Vice President responsible for Asia, Central Europe, Africa and Hill’s Pet Nutrition, as Vice President of Body Care in Global Business Development in New York, as President and General Manager of Colgate-Mexico, as President of Colgate-Europe, and as Chief Growth Officer responsible for the company’s growth functions. Other public company directorships: Current: GoPro, Inc. Past 5 years: None Ms. Zalaznick has served on Nielsen's Board since 2016. 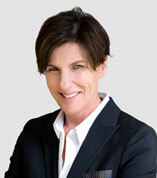 She is currently a senior strategic advisor to leading media and digital companies. From 2004 through December 2013, Ms. Zalaznick held various roles of increasing responsibility within NBCUniversal Media, LLC. In 2010 she became Chairman, Entertainment & Digital Networks and Integrated Media. In that capacity she had responsibility for the cable entertainment networks Bravo Media, Oxygen Media, and The Style Network; the Telemundo Spanish language broadcast network; and she ran the company’s digital portfolio. She was promoted to Executive Vice President at Comcast NBCUniversal until departing the company at the end of 2013. Ms. Zalaznick is currently a member of the boards of directors of Shazam and Critical Content. She is a senior advisor to The Boston Consulting Group, TMT practice, and to leading content and tech start-ups, including Refinery29, Atlas Obscura and Fatherly.com.